Find out why the Kia Rio is the 2018 winner of our Best Car for New Drivers award. New drivers really do have a lot on their plate: trying to remember what they’ve recently been taught, and getting to know the rules of the road. That means they need a car to make life as easy as possible, so they can fully concentrate on driving. Like most of our awards, this category was decided by feedback collated from a survey of more than 40,000 car owners, all of whom rated their car in 16 key areas. That means an Auto Trader New Car Award is a real stamp of approval from people that live with the car day-in, day-out, and it makes each winner a true consumer champion. Most new drivers favour a car that’s small and easy to manoeuvre, and as many new drivers are also young drivers, a decent stereo and a fair smattering of style don’t go amiss, either. Perhaps most importantly, though, a new driver’s car needs to be as cheap as possible to insure, to give them a financial fighting chance of getting on the road in the first place. That’s why we said the winner of this award had to qualify for an insurance grouping of five or below. It’s no accident that our highest rated car in this category, the Kia Rio, satisfies every single one of those parameters. While the Rio is undoubtedly a great first car, it didn’t quite make the shortlist in our Best First Cars feature. Our experts do consider the Rio a fabulous car in its own right, though, as you can see in our expert review. 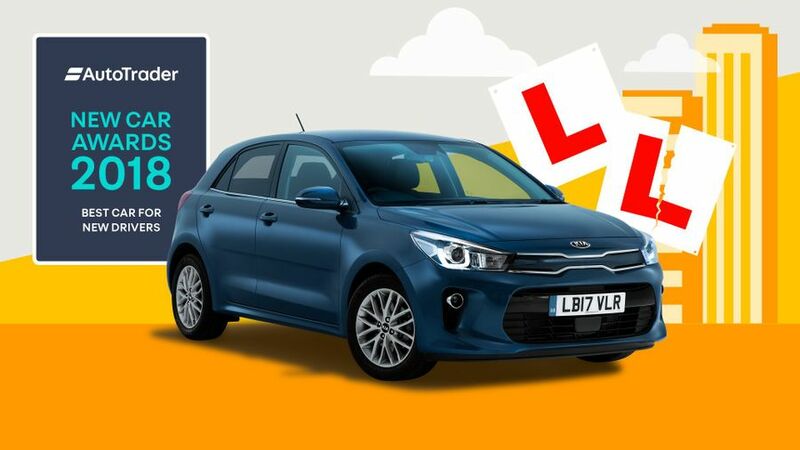 So, if you’re a fledgling driver and you’re looking for your first car, you can start configuring your brand new Kia Rio on Auto Trader right now.